#FunFriday – learning about pressure! 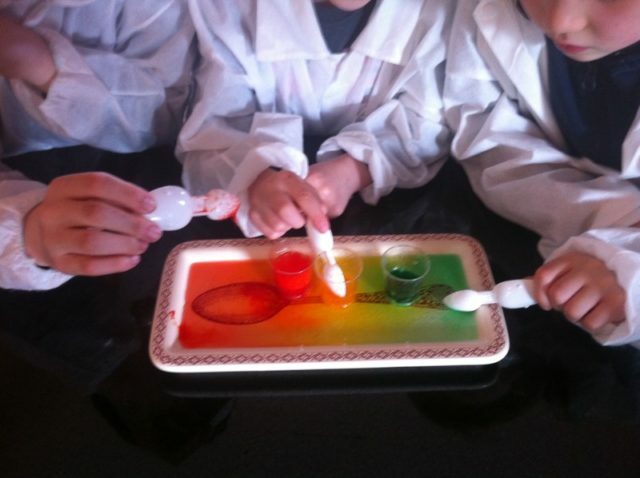 I am pleased to be part of a Science and Nature theme at www.mykidstime.ie this week. If you check out the links you can find some fun and fact filled articles on Sound, Light and Pressure along with some suggested experiments on each topic. 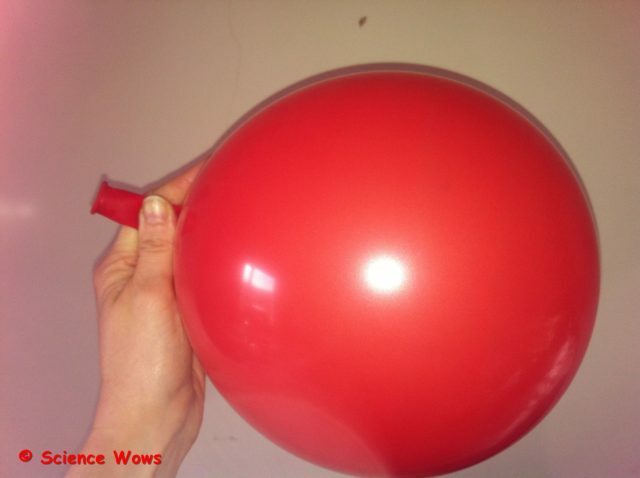 For today’s #FunFriday post I have shared one of the experiments on Pressure….hope you like it! Have a great weekend and remember to drop me a comment if you try it or have any suggestions or questions! I always love to hear from you! Next mark off a square on the top side of one of the cartons with your marker (I made the square 5cm X 5cm); Cut out the square. Repeat this step on the opposite end and side of the other carton… so if the first square is on the bottom right side of your periscope cut the second square out of the top left of the periscope. 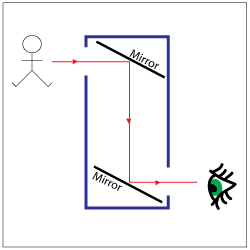 Now you want to fit a mirror into each end of the carton so that the reflective side of the mirror is facing you as you look in the hole and each mirror is tilted at an angle of approximately 45 degrees. The bottom mirror is tilted up at an angle of 45 degrees and the top mirror is tilted down at an angle of 45 degrees. I was lucky, my mirrors fitted the exact width of my milk cartons so I was able to place them inside, tilt them as required and then tape them in place. If your mirrors are wider than your carton then mark a line at the side of your carton, cut a slit and slide in your mirror. Repeat for the other mirror then tape into place. You should be able to look into the bottom hole and see what is reflected through the top hole…. Now all that remains is to decorate your periscope and have some fun…. you can use it to look around things or over things, great for playing spies, which is a very popular game in this house. How does it work? The object we see is reflecting light, this light is bounced off the top mirror onto the bottom mirror which bounces the light right onto our eyes! FEEDBACK: I love hearing from people who have tried some of these experiment so please let me know if you try this one, or even send me some photos of your finished periscope; If you have any questions just ask! 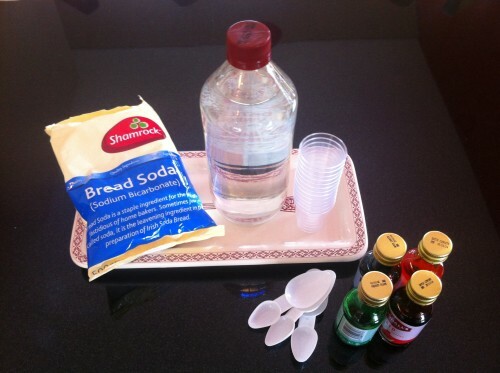 Fun Friday – the coke and mentos experiment…with a bit of a twist!! It’s Friday so that can only mean one thing… another fun experiment to try, think you are going to like this one! Basically you want to place the bottle of coke on the ground and add as many mentos to it at once as possible and then stand way back!! 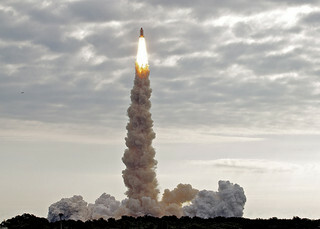 How do you add the mentos? Well you could pop one or two in quickly and it will work fairly well. 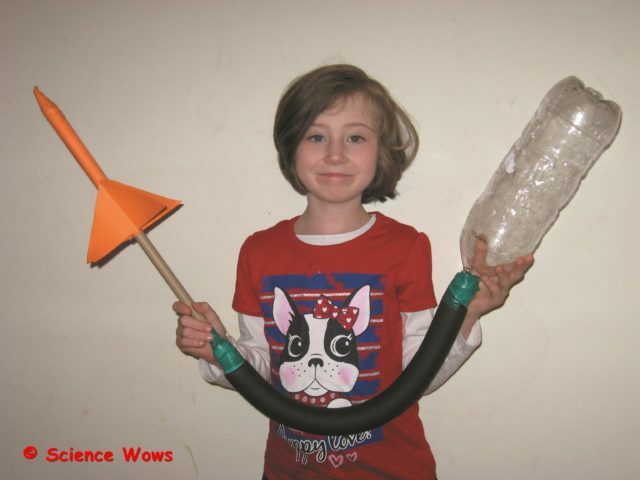 You could roll a piece of paper into a tube, sit it in the neck of the bottle and, gently pinch the base while you fill it with mentos (up to ten is about right) and then let then all slip into the bottle when you release the pinch at the base! With this you insert the pin, load up with mentos, screw the devise onto the top of your bottle of coke and then pull the pin to release the mints into the coke. There is even a little ring of plastic that drops down and covers the pin holes so all the coke goes upwards only. You can make your own devise, like we did here (thanks Hubby)… does pretty much the same thing. This is the one the I use for kids parties and events and it goes down a treat. I don’t bother plugging the holes at the side so the coke fountains out the side as well as the top and it all adds to the effect! Then I gave them these… and asked them to come up with something fun! What do you think? Not bad for two boys who had a temps of 38.5 an hour before….Oh the wonders of Calpol! “Coke and mentos powered car“. Firstly, this is not thought to be a chemical reaction between the coke and the mentos. It is most likely a physical reaction known as nucleation; The coke is full of carbon dioxide gas, to give it it’s fizz; the mentos are full of tiny little craters on the surface of the sweet, the carbon dioxide gas is able to form bubbles in these “craters” producings thousands of tiny bubbles all at once; these bubbles of gas are under a lot of pressure within the bottle of coke and so come shooting out the mouth of the bottle. If anyone knows anything about Newton and his laws they will know that every reaction has an equal and opposite reaction (Newton’s third law of motion)… so the coke comes shooting out of the bottle in one direction and the force of this propels the skate board forward in the opposite direction. PRETTY COOL! Now it’s your turn to go off and try it out, if you come up with any of your own ideas and experiments I’d love to hear about it! Fun Friday – the bouncy egg experiment! With all the excitement of the Easter bunny we forgot about our last egg- experiment…”the bouncy egg” so I thought it might be a fun one to start off this new blog spot… “Fun Friday”, where I will share a new experiment for you to try! So firstly, this is how we set up the experiment…. We left the eggs in the vinegar for two days and then removed them and gently washed them in a bowl of water … unfortunately, when I was washing the egg from the plain vinegar experiment, I burst it… Ooops! No harm done as we substituted the other just to show you how the “bouncy” bit worked! What has happened to the shell? The vinegar is an acid (acetic acid); it reacts with the calcium in the egg shell (calcium carbonate) and breaks it down, producing a gas as it does so. 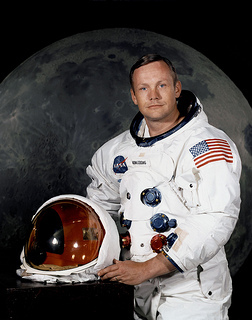 You may have observed the gas as bubbles being formed, during the experiment. Effectively the vinegar (acid) eats away at the egg shell until it is all gone. Then for a bit more fun I turned on a UV light! Ok, I know, most of you don’t have one of these lying around at home but as I’m a Mad Scientist I do ;0) …and I was curious to know what would happen if we left it sit in fluorescent vinegar. So there you go, it worked better than I expected… the egg is completely fluorescent…. and bouncy, just for that extra bit of fun! In case you are wondering “WHAT IS FLUORESCENCE?”….let me explain… it is the emission of light from an object after it has absorbed light (or electromagnetic energy)…. usually the light absorbed has a short wavelength (in this case the UV light) and the light emitted has a longer wavelength. 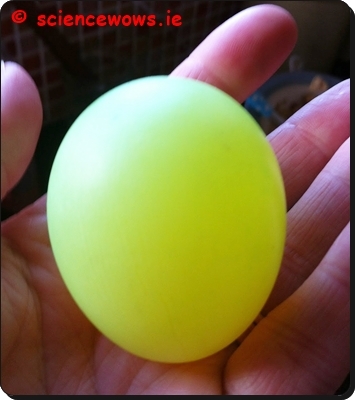 When I shone the UV light onto the egg it “glowed”, even in daylight it looks bright – just like a fluorescent pen! The fluorescent egg in daylight!